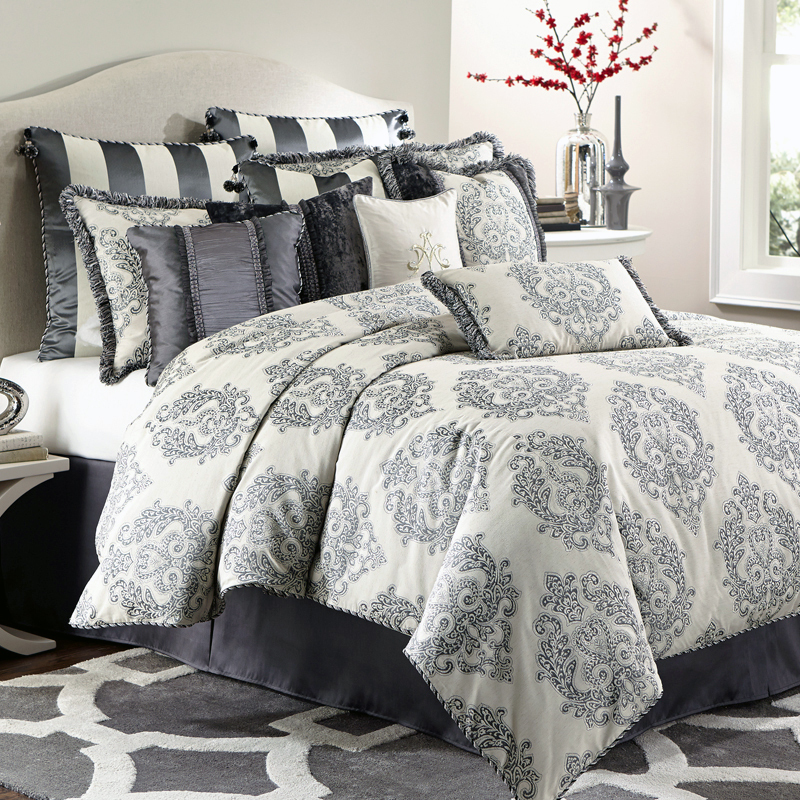 The Peyton Bedding Collection by Michael Amini is truly magnificent with its stately danask pattern and a color palette in luxurious shades of steel gray. 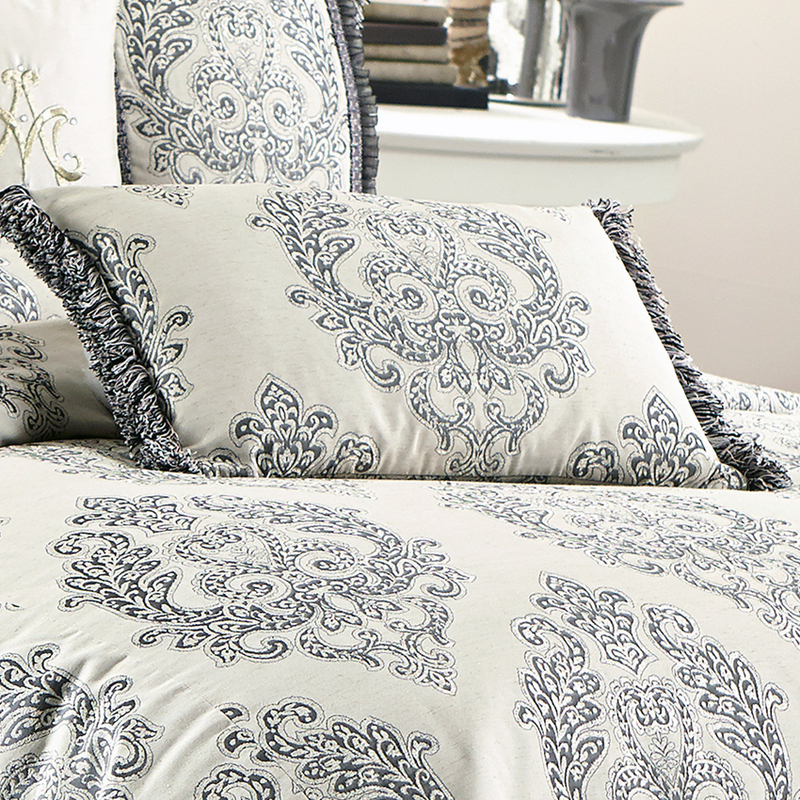 The damask is highlighted with a silver thread that adds subtle and elegant shimmer. 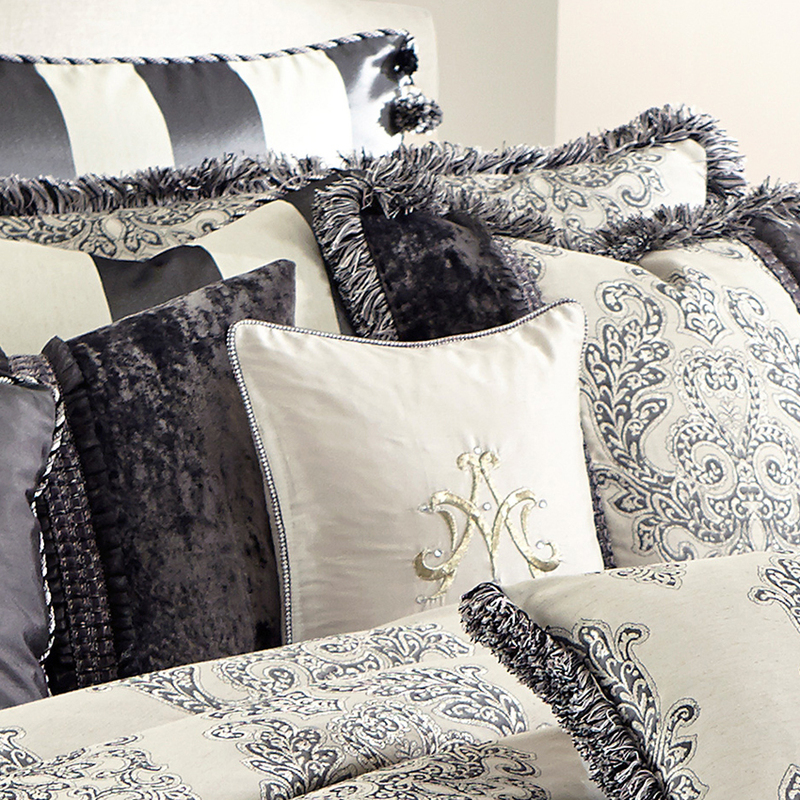 The beautiful designer trims and mix of elegant fabrics give the Peyton a truly custom appearance. 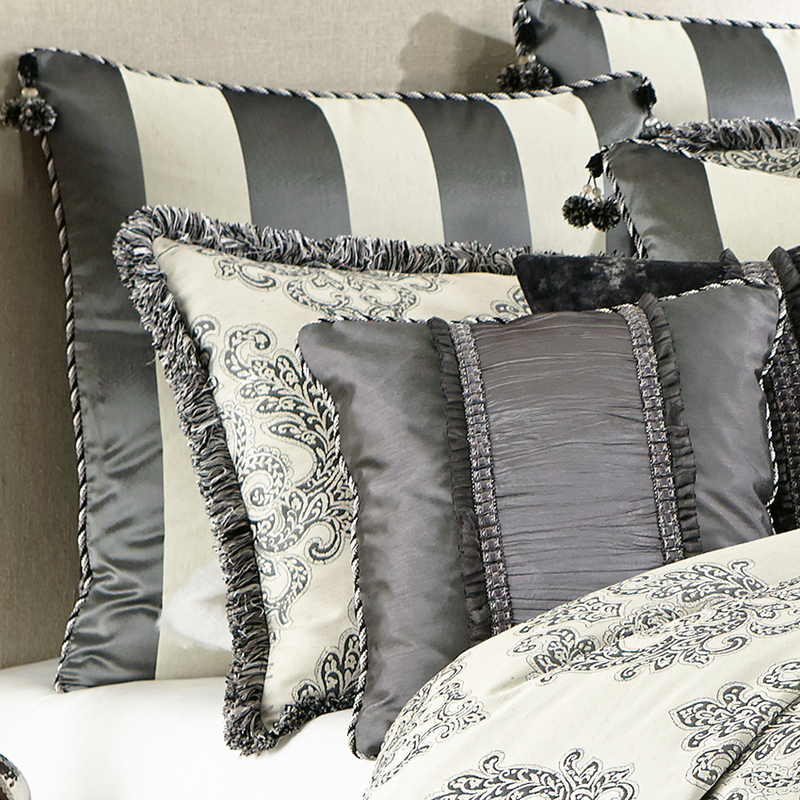 The classic styling can blend into any style of decor and will make a grand statement in your master bedroom. 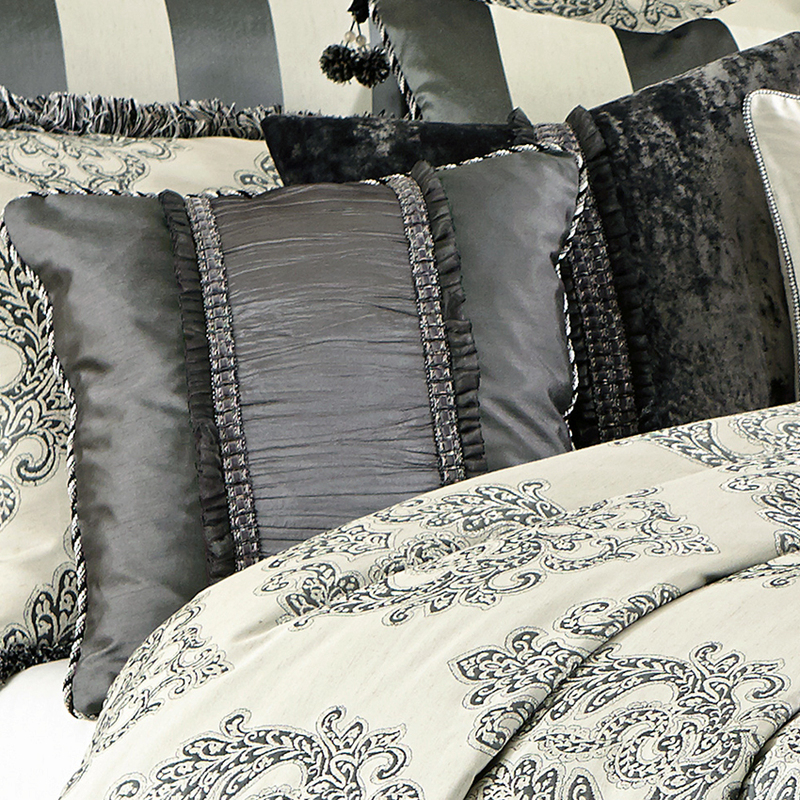 This high quality bedding looks even better in person. Color note: They grays in the Peyton may appear slightly purple on some devices or computer monitors. 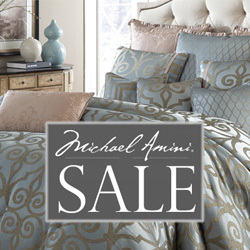 Fabric Samples and extra fabric for Michael Amini Bedding Collections are not available. However we will be happy to email you a Hi-Res photo if you would like a larger preview. Please email customerservice@andersonavenue.net to request the photo. • Normally ships within 10 Business Days, excluding holidays and weekends. • The Michael Amini Peyton is considered a special order item. 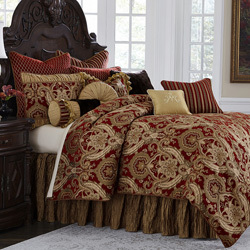 • You will receive an email notification once your bedding ships. 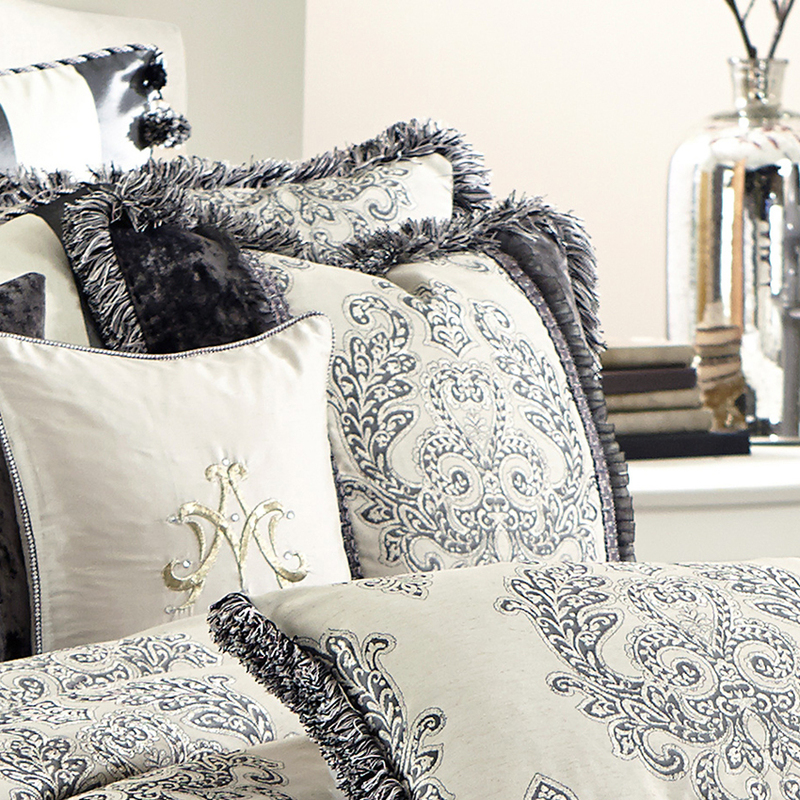 • All Michael Amini bedding shipments will require a signature upon delivery.